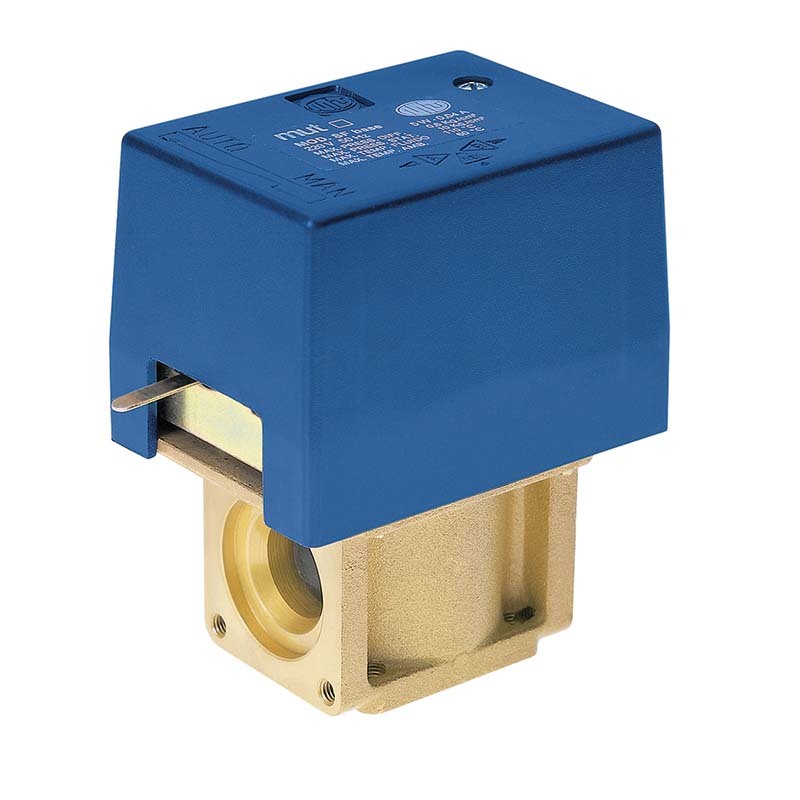 These are powered by an electric motor and can assume two operating positions depending on whether or not the motor is activated. 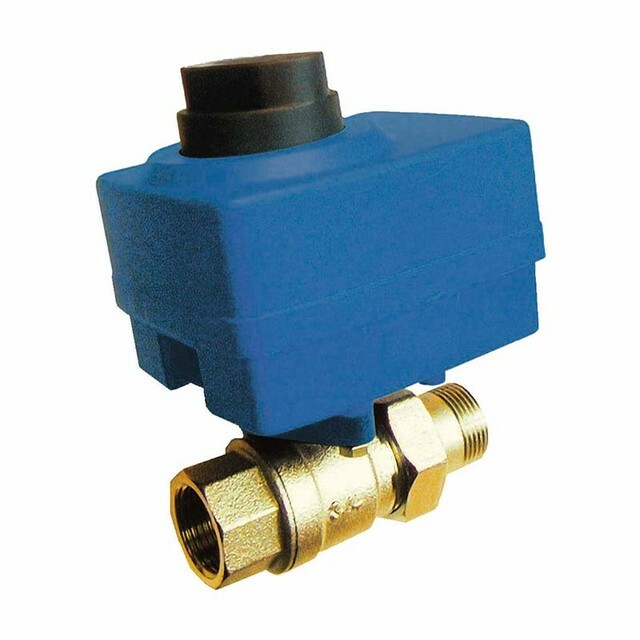 One or two auxiliary switches can be installed on request and be actuated when the valve switches. 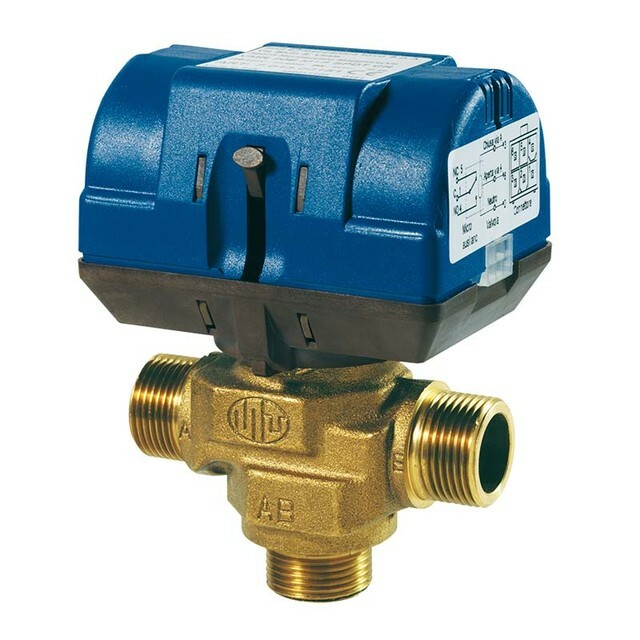 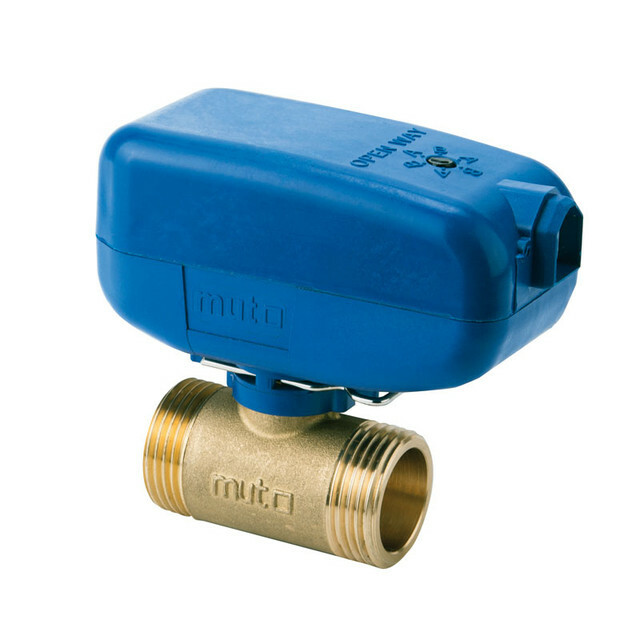 Valves are equipped with an external lever for manually positioning the shut-off ball in its central position. 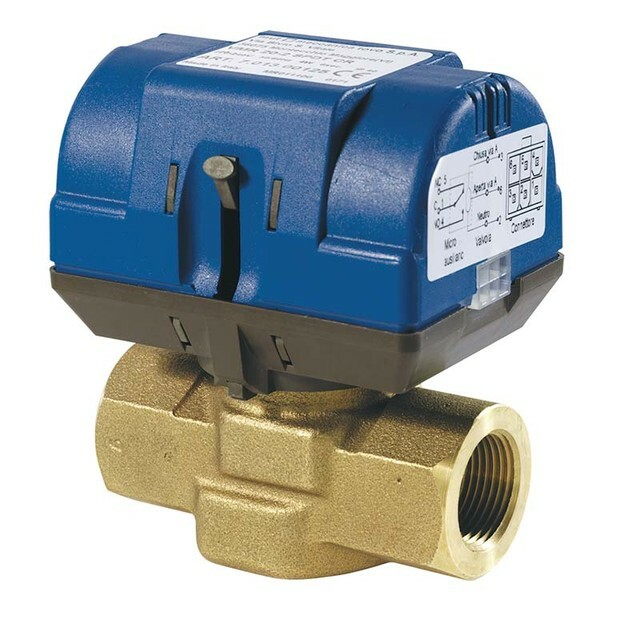 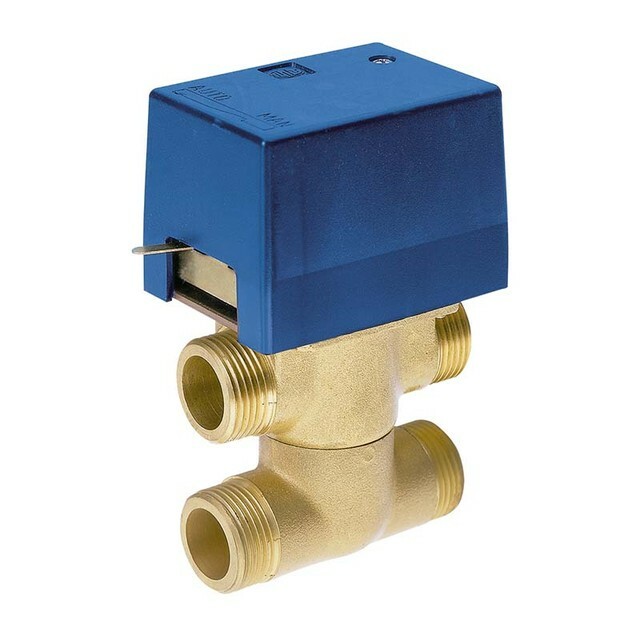 SF base valves maintain all the operating characteristics of two and three-way SF valves. 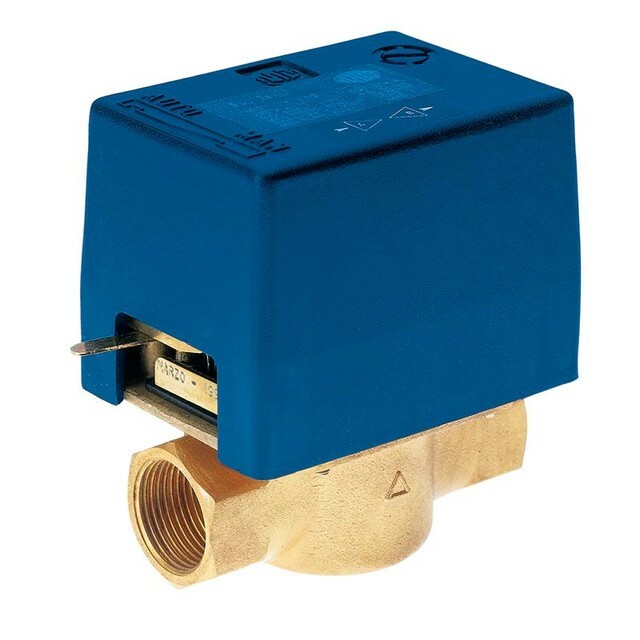 They are designed to make the connection system to plumbing pipelines more versatile. 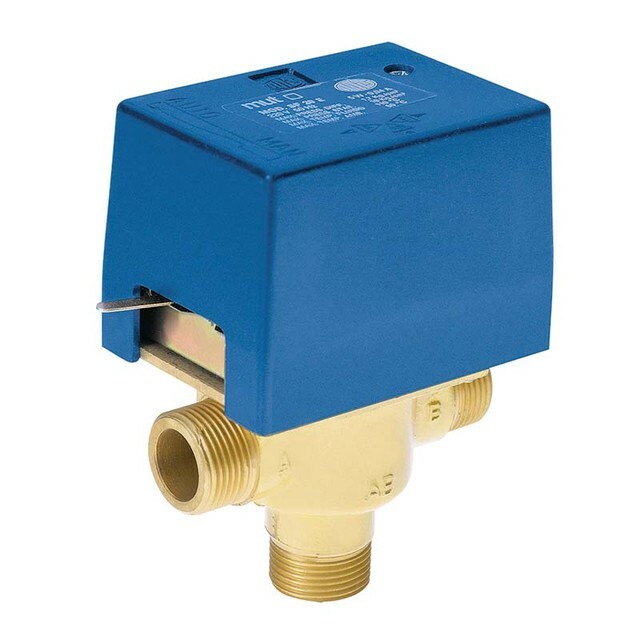 When a special flange is mounted on these valves they can be equipped with the most suitable system of connections. 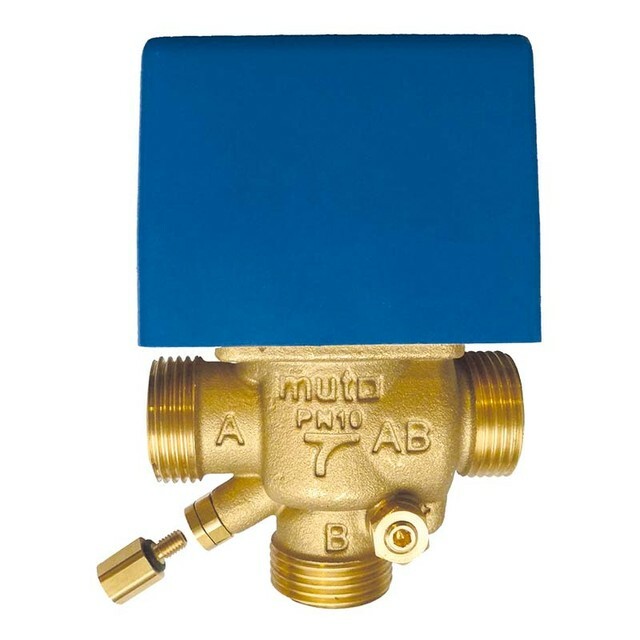 Various types of flanges are available and can be preassembled with the valve. 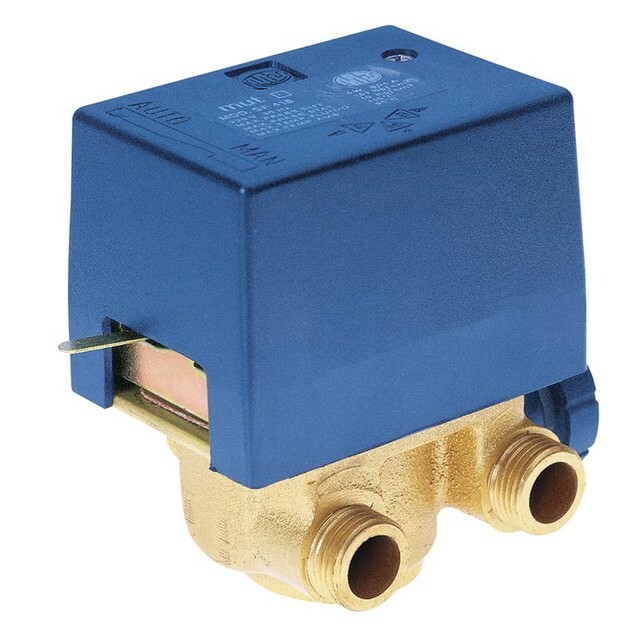 These cover practically the entire range of the types of connections currently in use. 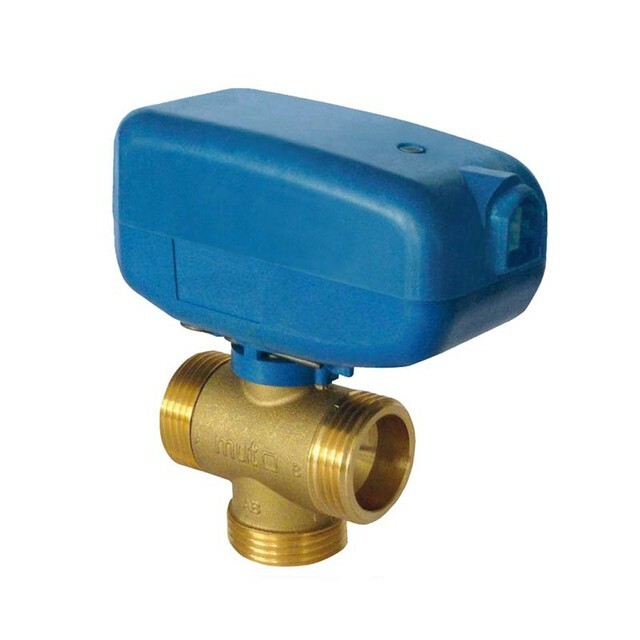 The flange system can also simplify, in particular cases, disconnection of the valve body from the pipeline system.